Israel is a small country, roughly the size and shape of New Jersey, with diverse geographical areas. 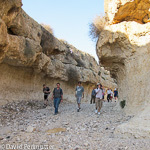 Our outdoor adventure tours will take you away from the usual tourist sites to see and experience the different landscapes that Israel has to offer, from shaded paths along perennial streams in the Galilee to deep desert canyons of the Negev. With thousands of years of history, there are numerous archaeological sites waiting for you that have not been developed and turned into National Parks with entrance fees. 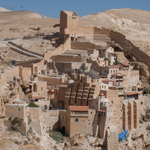 On our adventure tours you will be among the privileged few tourists to delve into Israel’s past with visits to some of the myriad sites off the normal tourist track. Our outdoor adventures are tailored to your abilities and desires. You can get out into the wilderness in the comfort of our four-wheel drive vehicles, hike from an hour to a few days or bike relaxing along dirt roads or more challenging single track bike trails. 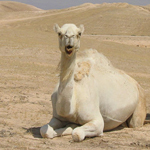 Israel is an all season outdoor adventure location. In the winter months, the desert is inviting and in rainy comes alive with an array of blooming flowers in February and March. In the summer we can avoid the heat with scheduling our activities to early morning and late afternoon hours. 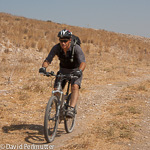 The summer is also great for Galilee adventures. Most of our outdoor activities in the summer up North will include cooling off in a spring or stream. Join Israeladventure for the time of your life, make your Israel experience more than the usual tour, go out of the box, go outdoors!